Hanging Snowflake decorations. 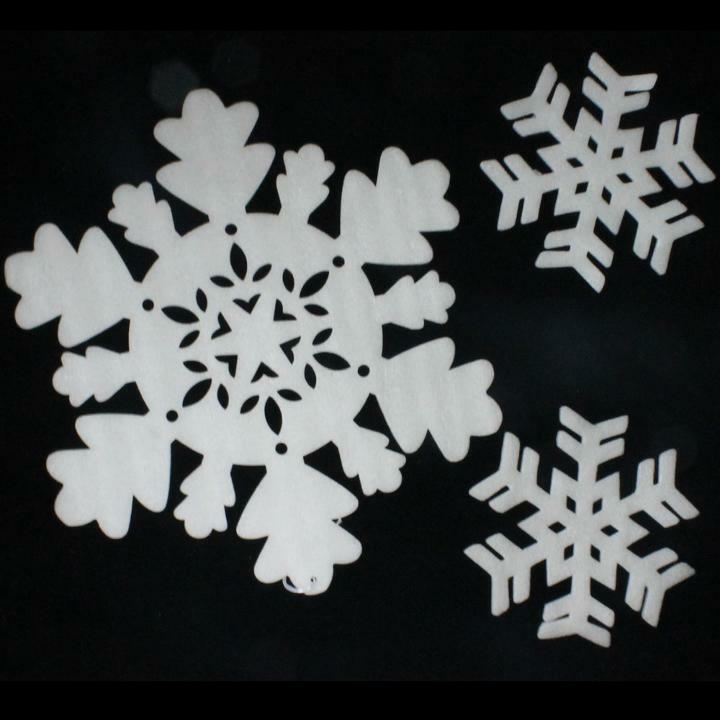 White foam snowflake decorations can be used to create cool winter wonderland landscapes. Layer a variety of sizes and styles to mimic actual snowfall indoors! Pair with our other winter themed decorations to create fantastic party backdrops. Perfect for Frozen parties and winter formals.